A successful and busy open day took place on the 19th October at our development in Warlingham, Surrey. 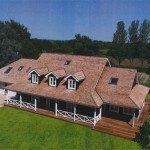 This beautiful 5/6 bedroom property is for sale. To request further information on this property or to book an appointment to view please call 01342 838060 or alternatively email sales@scandia-hus.co.uk. 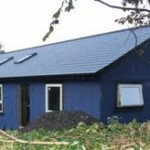 Ashurst Wood Community Pre-School charity build continues to make good progress. 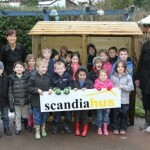 Scandia-Hus are delighted to be involved in the construction of a new building for the pre school. The children will be moving out of their temporary classroom in the main school and into the new building before Christmas. We have once again been giving our support to the local community. This time it was Billingshurst Primary School who won a log store in a prize draw.